In the course of this blog we always enjoy debating whether or not a particular game belongs on the list but we were in complete agreement about this one: a resounding no. 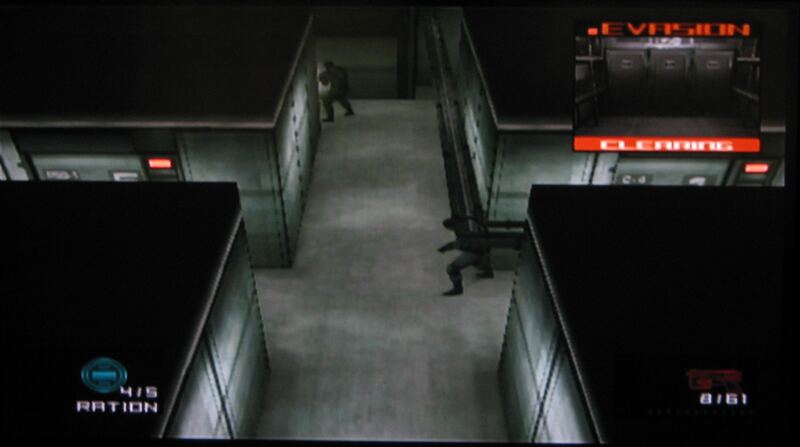 We are so adament about this because today’s game, Metal Gear Solid: The Twin Snakes, is in fact a remake of the first Metal Gear Solid game which we tackled back in March. There are a number of remakes on the list and there are also games which have received remakes… but the fact that both have a place on this list is astonishing… because of this fact it has more to prove than other games. This will be a relatively short post. Simple reason why: Read our post on Metal Gear Solid, the first game. This is a remake, with better graphics, expanded cutscenes (which, for the Metal Gear Solid series, is not a good thing…) and some updates, but more or less the same gameplay and designs. As mentioned in our introduction this is one of the more questionable entrants onto our list since it flies in the face of the book’s initial mission to select the essential 1001 games. When I think of all the great titles that missed out on a place because of an original and it’s remake it does make me wonder how often they proofread the list’s final draft. It really feels lazy… yeah, there might be a point in including a remake if the game is notably different with a lot of changes, but despite that this still seems to be the only full remake. Even more so, while others are technically remakes, there are plenty of changes. Here, the changes seem to only be cosmetic. Well not purely cosmetic to be fair. An updated radar isn’t that much of a change, making the first person view options the only real update I noticed. They also revamped the AI of the enemies… but yes to be fair most of the changes are not exactly ground shattering. In fact some have said that it has ruined the challenge of the game. I applaud the first-person mode since the shooting mechanics in the original really did leave a lot to be desired. 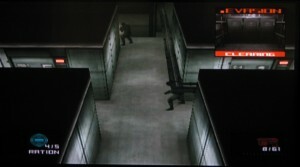 However, when this was being played it did make me think of Metal Gear Solid 2 and just how much better it was. The reason for that is that, despite everything, this is still the original game, with its annoying random pits, same cutscenes and other flaws. Is it better than the original? Yeah, absolutely, else this wouldn’t be a good remake, now would it? Does it offer anything new enough to make it worth being a seperate entry on the list? No, it’s just not different enough for that. This is not the first game which will be controversial, we may even have a similar conversatio when we get to Super Mario Bros.: The Lost Levels which is mainly an extenstion pack for the original Super Mario Bros.. There is another problem with this remake is that there is going to be an HD remake collection of Metal Gear Solid 2, Metal Gear Solid 3 and Peace Walker and the original Metal Gear Solid has been noticibley left out. You can thank Twin Snakes for that one.